The Utah Department of Transportation released a list of its top road projects for 2015 last week, including two major projects on Interstate 15. There are more than 180 road projects scheduled for the state this year, including repairing highways, adding lanes to freeways, constructing new roads and performing maintenance to existing thoroughfares. The top project is I-15 The Point. Construction will start in March and end in fall 2016. The $252 million project will see I-15 expanded to six lanes in each direction between State Route 92 in Lehi and 12300 South in Draper. Drivers can expect lane closures, which will lead to delays. The No. 2 project is I-15 South Davis. The $126.9 million construction project between North Salt Lake and Farmington will be completed in the fall, but expect closures and lane restrictions during construction until then. Interchanges at 2600 South and 500 South in Bountiful are being reconstructed along with bridges at 1500 South and 400 North. 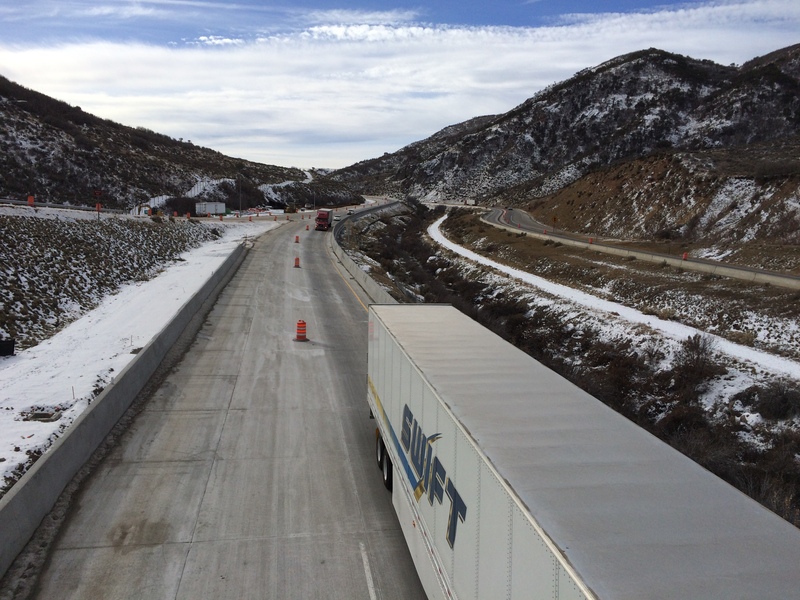 The third major project is on I-80 between Silver Creek and Wanship. Work resumes in April with new concrete being poured along 8 miles of the interstate. There will be two new bridges constructed over the highway as well. Construction will run through fall. Rounding out the construction projects are I-15 Beaver climbing lanes, SR-36 reconstruction, I-15 Hill Field Road interchange and thru-turn intersections, the Bangerter/Redwood interchange, I-215 from 300 East to Redwood Road, US 40 from SR 208 to Duchesne and SR 108 from 2000 West in Roy/Ogden. Want to get notified whenever we write about Utah ? Next time we write about Utah, we'll email you a link to the story. You may edit your settings or unsubscribe at any time.